À 13 heures 7 mn ORDER, LIVRAISON AUJOURD'HUI. 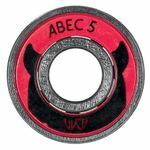 Achieve world class edging without sacrificing grip! 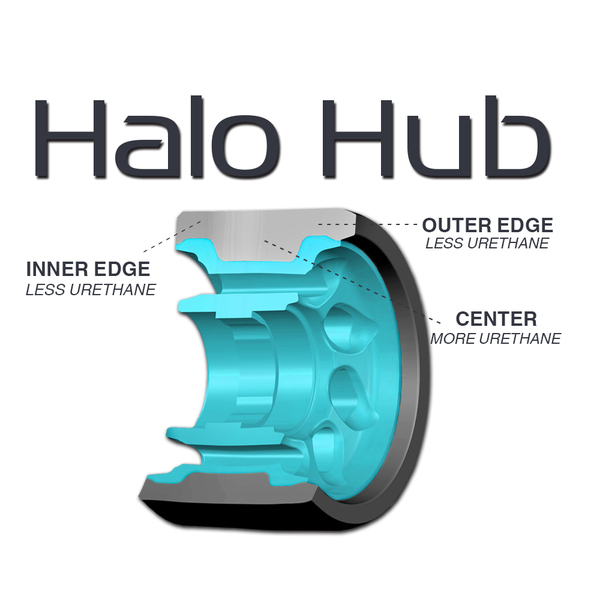 The RADAR Halo features the innovative, signature H-shaped hub. The inner and outer edges of the hub are oversized, which reduces the amount of urethane on the edges of the wheel. This makes it easy to perform stops and offers excellent response. The middle of the hub has room for more urethane, which offers grip, increases control, and improves ride. The Halo is also shockingly light. 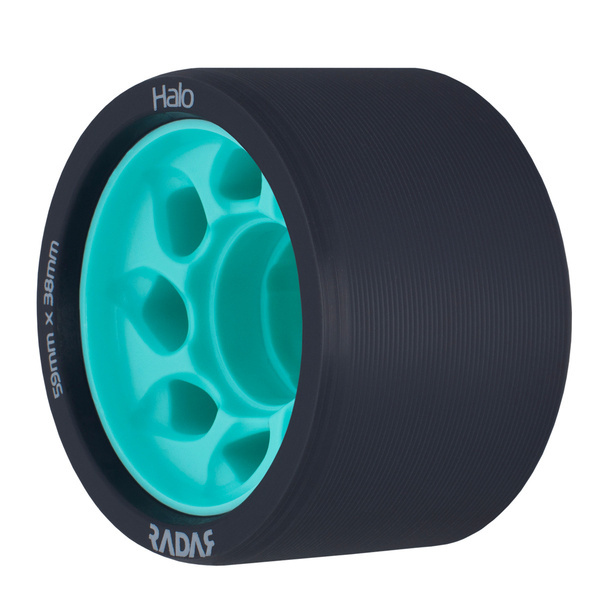 Attention: The Halo wheel is a great wheel on typical smooth sportcourt surfaces like wood or pvc. By using them on raw concrete/asphalt like outdoor rollerskate places they will worn out much easier. RDH Recommendation: A very harmonious all-round combination, which is working very well on most floors is to combine 2x 88A with 2x 91A (or 93A)! This combination gives maximum grip and enough speed.